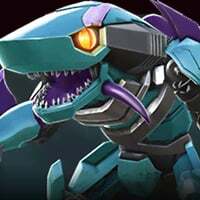 All or nothing has returned and the bot it's been slapped onto is none other than mv Megatron boss, so why exactly is it one of the bosses with a powerful special 3? I get that when you think about it there's always bots that can power control that'll make this mod redundant but most of mine are either not strong enough or in the AM right now... So yeah who would you guys recommend for this path and boss fight? Do you have Shockwave? 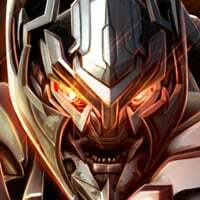 Megatronus under Relic of Obedience can tank it and he can power drain. Wheeljack? Duped Soundwave? 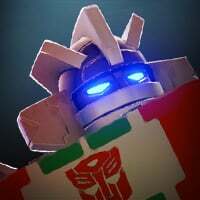 Prowl? Duped Tech shark? Rhinox? Jetfire? Duped Og bee? Or just wait till AM is over and try again. He's got replicate so Prowl and Soundwave are out of the question. My Soundwave hit him with a heavy and he got to Sp2 in no time. I'll have to spam sp1 to drain power but I build faster than I drain. Stack those shockwaves and let him have it. All megs does is shoot me and I block and say thank you. 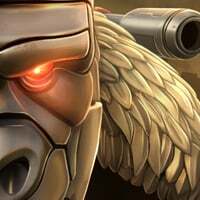 If you don’t have any power drain bots, Primal with some crit armor will really reduce the effectiveness of the S3. I actually didn't have too much trouble with Megatron. Mainly because I have two power controllers, Mirage and Prowl on my team. Jazz is also a very useful power controller. He just requires more skill (evasions) and probably a G1 Prime for some nice attack buffs. Lol why flag me? He said that his strong bots were stuck in AM. Sometimes you may just need stronger bots that can withstand the SP3. I reached 3.1 last night and found Shockwave to work very well by just spamming SP1. The mod is broken anyways. He used an SP2 and SP1 against me in Master. If they fix it I'll be fine. I just fought him with my Soundwave and thought it's safe to get aggressive before his sp3....and died on his sp2. Next fight I used Tronus and he just became a normal demotron spamming sp1/2 to make the fight quite easy. Ended up doing it without wheeljack, used Megatronus to take him down to 16% before dying and finishing him off with shockwave. Since I did the easiest path I might try shock block now, or maybe do them in order? If you don't have any of those... Good luck. Wheel jack can take him easily. Save SP3 and get the first heavy to be a tech upgrade, get 3 upgrade, last 2 don’t matter and after he uses SP3, the shield should catch the damage and cut it off. Use SP3 right after the regen lost health. Probably not. KB consumes shock with a heavy.